I hope it's less of a disaster than when Elvis did the BluesFest headline a few years ago where I've never seen so many people walk out of the Royal Albert Hall since The Style Council's "new direction" gig! I'm giving this a massive swerve. Looks like just festivals this year. Unless a London date suddenly appears I think Manchester will be my only date this year. wonder if he will lengthen the "A LOVE SUPREME" tidbit ending GIRL'S TALK last month in NY!! Anyone going to this event next weekend? I'm not sure about this gig, so I'm going to give it a miss ! From Elvis' tweet it looks like this show is on! Elvis Costello & The Imposters are on their way to @GlyndePlace East Sussex Saturday 30th June! Just hope he's not rushing back and going to compromise himself healthwise ! Maybe he is as smart as ever sulky. Think of it this way. First show back is what... 75 minutes? He can take it a little easy by going heavy on the ballads perhaps. And if it is indeed a jazz fest, AND IF IT IS VOICE THAT IS PROBLEMATIC, i guess the band could stretch out more often. gotta look on the bright side kids, at least he will be back at it tomorrow. Elvis & co. on at the same time as , on other stages, Pharoah Sanders and The Portico Quartet - plenty of choices . Last edited by MOJO on Sun Jul 01, 2018 11:51 pm, edited 1 time in total. Going by the chatter John posted to the costello-l thread on Facebook, looks like he got the job done. A festival set I presume, so just an hour or so. Very mixed reactions to his voice. Get the impression that Elvis' voice issues have him now getting the reactions that Bob Dylans been getting for years ie. casual fans expecting him to sound like he did 40 years ago & being appalled that he doesn't. Sounds fine in the clips I've seen, though they're usually from later in the show when he's had time to warm up. Tough call for him to make, commits to gigs early in the year, then surgery happens. Be nice if he could have called them all off, but he's a performer, has to keep going. ELVIS COSTELLO had the right idea at this weekend’s Love Supreme – Pump It Up. It was so hot during the first day of the jazz festival at Glynde Place that thirsty concertgoers demanded ever more beer as temperatures hit the high 70s. But despite a national CO2 crisis that has seen shortages across Britain, organisers kept the lager pumps flowing to keep more than 20,000 fans going through two days of jazz, soul, funk, R&B and rock. 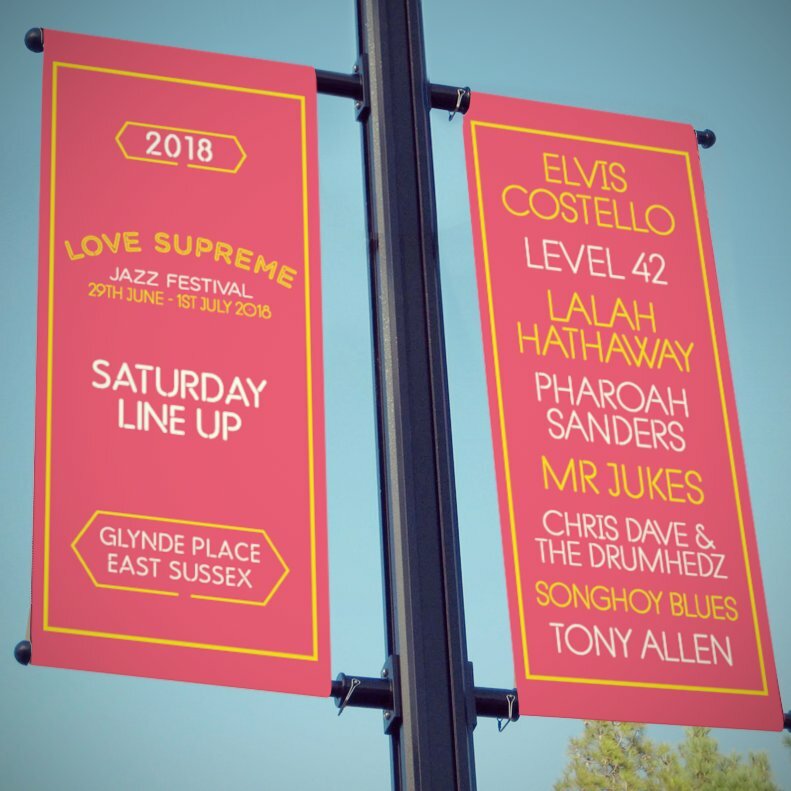 The laid back, family-friendly Love Supreme, now in its sixth year, has become one of the highlights of the festival calendar, thanks to an appealing mix of experimental, off-beat and crowd-pleasing artists. The big name on Saturday was headliner Costello who with his band, The Imposters, served up a strong 90-minute set from almost every part of his varied career. The rousing finale of Oliver’s Army and What’s So Funny About Peace Love And Understanding had everyone up and dancing despite the heat. Earlier, there was a strong main stage set from 80s soul-funk group Level 42, with bassist Mark King remarking how many generations were there and dedicating Running In The Family to them. There were also winning appearances by retro soul-jazzers Mr Jukes and singer Lalah Hathaway, daughter of the late great Donny. Elvis' voice seems to be taking a lot of stick in various quarters. It's the first time I've ever heard that the Imposters sounded ragged though. If 42 is the God awful 80's faux jazz, funk monstrosity of a band that i only kinda recall, I AGREE!!! Horrible early version of the utterly banal dave matthews band??? Saints preserve us! !